Let’s Begin With New 1st’s…. Has it really been that long!!! It’s been an eternity since we’ve posted! Okay so going to begin with a post of “1st’s”…. And then will head into a brief overview of the last few months…. Rhema has never played in the play area tower…she’s only just allowed up to put her into the area. 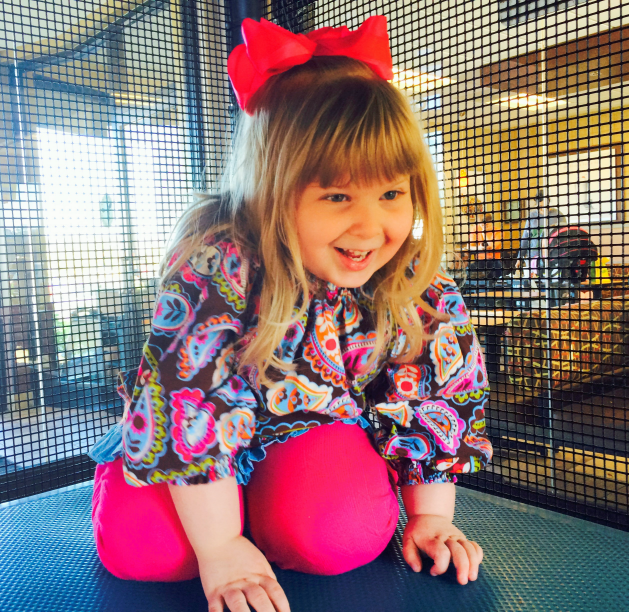 But on this day in November, Rhema and momma got to the second level of the Chickfilet play area! 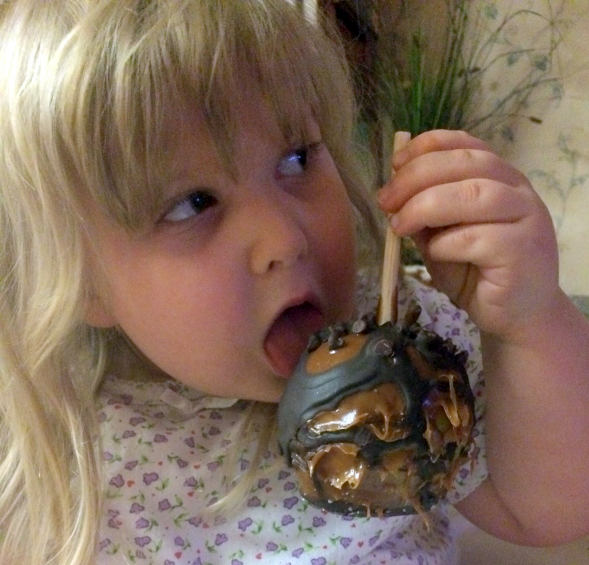 1st Caramel Apple from the Fair! Okay, so I ended up cutting off small pieces of this apple for her to eat, but it was cute to see her try to think about “how” to eat it! Rhema picked it out because of the chocolate! We have a sweet family at our church, who’s daughter was marching in this parade. Rhema did so well even sitting so close to all the noisy cars, fire trucks and bands. She did hide her head a bit, but overall really enjoyed her time. She LOVED the bands and all the “instruments”. I do not have a picture of her at the concert, but a week later I took her to a small Christmas concert (the participants were all kids playing the instruments) where she could see some instruments up close and personal. We feel Rhema has a musical gifting so we are giving her early exposure to the music world. Until she develops more coping mechanisms for her sensory issues, much of the exposure will have to be delayed. 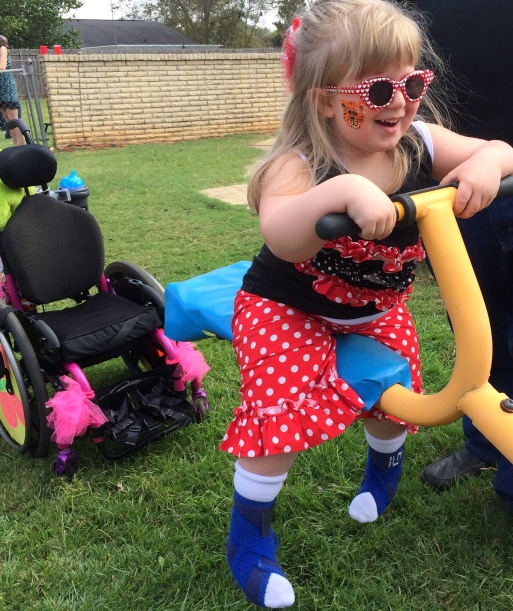 But overall, we’ve seen some great strides in her being brave and dealing with her sensory issues. 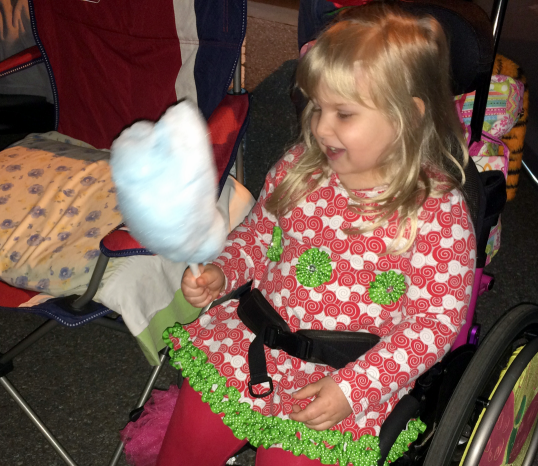 The Christmas parade was a huge night for Rhema and we were very happy how she did! Fun Times & Recent 1st….